Concrete, stone and blocks walls can block between 50%-90% of the RF(Radio Frequency) EMF/EMR (Electromagnetic Fields/Electromagnetic Radiation). Wood, dray wall and other types of walls don't block RF EMF/EMR so good. Sometimes the levels of RF EMF/EMR that manage to make it's way into your apartment via the walls from external sources (such as cell phone antennas, smart meters, WIFI routers and neighbor's wireless equipment) are too high and needs to be reduced. One way of doing that is to paint the walls with RF EMF/EMR Blocking Paint. The paint is a very easy to use. Simply paint your wall as if it was a regular paint, electrically ground the paint layer (using grounding kits), and then paint over it with any other color of your liking (it is not recommend to use pure mineral paints). One layer of the YSHIELD RF Blocking Paint HSF54 will block 99.984% (38dB) of the RF radiation, and the second layer will reduce the RF levels up to 99.997% (45dB). You will need the assistance of a certified electrician in order to ground the paint. The paint is a reflecting paint so it is more recommended to use on external walls. for internal walls the RF Blocking wall paper is more recommended. 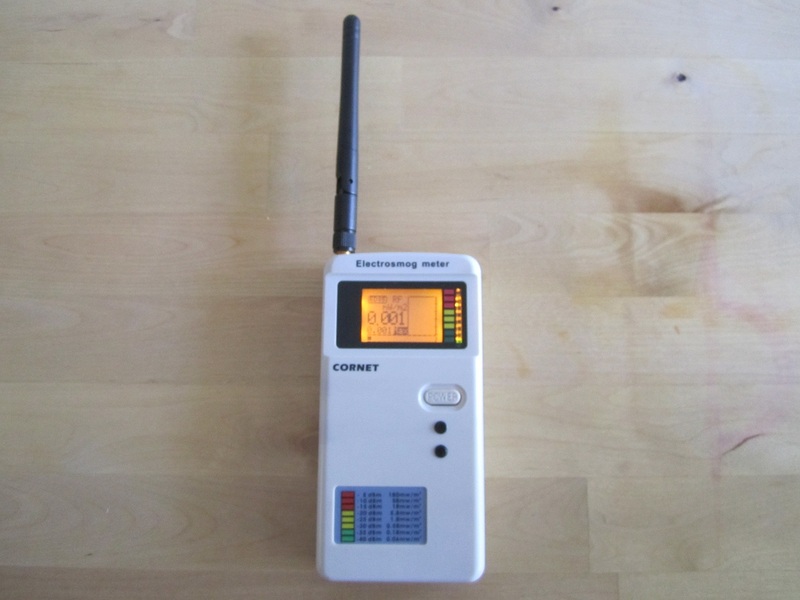 It is recommended to tests the RF EMF/EMR levels several times using home use RF meters before buying and using a RF blocking paint. Even after you buy and use the RF EMF/EMR blocking paint it is a good practice to test the RF level inside and outside the protected room every several days. It is recommended, if possible, also to use other means and type of RF blocking devices (RF blocking Fabrics, windows RF blocking film or other) in order to reduce the RF levels inside the room (even before using the RF blocking paint). It is not recommended to use RF radiation sources and wireless devices inside a room that is painted with RF blocking paint. 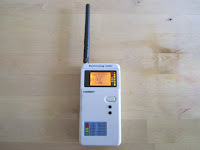 Using RF radiation sources and wireless devices inside the RF EMF/EMR protected room might result in creation of very high level RF field inside the room. Blocks RF EMF/EMR that penetrate your walls from outside sources as cellphone towers, smart meters, WIFI routers and neighbor's wireless equipment. Blocks most of the RF that manage to penetrate the walls. After you protect the room, don't use any RF emitting devices in the room. Does not block ELF magnetic fields. Needs several steps of installation. In our opinion Grounding should be done to the real ground and not to the electric or to the water pipes which can introduce some Dirty Electricity. Item is sold by www.radmeters.com with special discount prices for our referral. Simply click on the links on the right. 4. Connect the conductive tape to the ground using a special grounding electric kit.